How did you get into mindfulness? I read one of Thay’s books, loved it, and contacted him to meet because I thought he would be great inspiration for one of the characters in a series of very successful action movies I produced called Mortal Kombat. After spending two hours with him and a monastic, I felt like I had been on vacation for three days. I asked him his secret. He said, ‘There is no secret, practice.’ And I thought – I could learn how to feel this way?! I was hooked. We then became friends and I visited him many times, and learned! How has practicing mindfulness enriched your life? Tremendously! I am happier, calmer, but have even more energy and get more done. I don’t have a bad temper like I used to. It’s great and always ongoing, always more to learn. Here is an example. Every year, I go to the Cannes Film Festival in a gorgeous place in the south of France. People are trying make deals, and are stressed and yell and complain. Now since meeting Thay, I always stop and say, ‘But look where we are, sitting on a yacht in the south of France! This is beautiful! What a great moment!’ Not sure if anyone really listens, but I do! What is your favorite Thich Nhat Hanh quote? 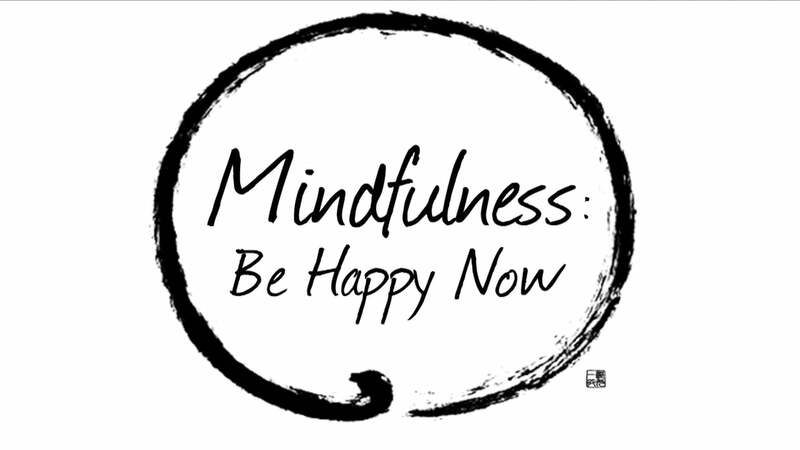 What inspired you to film the documentary “Mindfulness: Be Happy Now!”? Thay asked me to. I produce big action movies and have never made a documentary, but Thay wanted one specifically on mindfulness. He was very, very clear that it was not to be about him or the other monastics, but to teach mindfulness. We talked about trying to reach a broader audience than they usually reach. So because I love Thay and I think his message of ‘Peace in Yourself, Peace in the World’ is so good and important, I did it. Plus, I feel I have been fortunate to learn so much from Thay as well as Sister Chan Khong and Sister Dang Nghiem, so I wanted to be able to share that with the world. 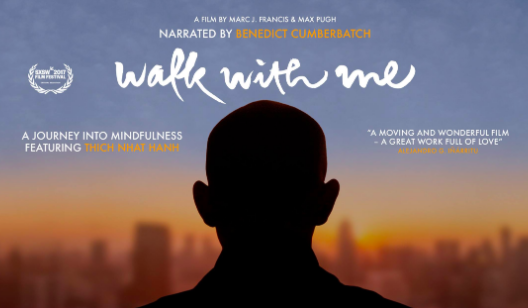 Did Thich Nhat Hanh give you specific instructions on how to create this documentary? Yes, again – NOT about him. No vanity. No life story. Mindfulness, mindfulness, mindfulness. That is why in addition to Thay, Sister Chan Khong and Sister Dang Nghiem, we have such wonderful and famous people in the documentary. Also, we discussed about making it for people who perhaps are not yet practitioners. “Those for whom we could plant a seed,” as Sister Dang Nghiem says. This is very important. I think there is a tendency to preach to the converted, so to speak. I thought I could help by introducing the subject to those searching for something but who do not quite know about mindfulness yet. What did you learn from Thay, Sister Chan Khong, and Sister Dang Nghiem? What I learned is in the film. That is one of the reasons I made it. So when I try to explain mindfulness, I can just show the film. It’s what I know. And practicing it, I like to think, as Thay says: “Be Still and Know.” I strive for that all the time now! How did you choose the topics to be discussed during the filming of the documentary? When you make a documentary, you shoot a lot of footage and then edit it down. I wanted to do two things: to teach and introduce people to mindfulness who do not yet know about it and to make people feel relaxed and mindful by just watching it. I asked questions based on what I had learned, what I thought people would find interesting, and the expertise of the particular guest. The funny thing is that for several weeks we were editing many, many of hours of footage down to 90 minutes and I felt so relaxed because I spent all day listening to all the great wisdom from all our great participants. Usually, editing can be stressful. Here, it was mindful! 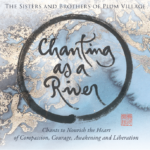 To what extent were Thay and the monastics involved in the documentary-making process? Their scenes were shot over many visits, for which they were great and so patient with us. At one point, I was going to include a supermodel, a sports star, a professional fighter, and some clips from popular movies. This was all to advance the cause of making this appeal to a broader audience. Sister Chan Khong and other monastics were strongly against this. Thay, on the other hand, seemed to understand the goal of reaching lots of people by including sports figures and models. I still think that would have helped, but out of respect for Sister Chan Khong, I decided not to do it. How did you approach Deepak Chopra, Academy-award winning director Oliver Stone, Dr. Blaise Aguirre, Cesar Millan, and Sharon Stone to participate in this documentary? Some of them I know already (Oliver and Blaise). I know Sharon’s manager. For others we just called and asked. Everyone sort of knows who everyone is in the entertainment business which helps because I have made a lot of movies. These people were so wonderful and generous with their time and knowledge. Can you share a happy moment you had with Thay, Sister Chan Khong, or Sister Dang Nghiem? I think all the moments I have spent with them are happy! Early on, the monastics came to speak to a group of people in the entertainment industry I gathered at my house. People said that night changed their lives. Thay came to a meditation room I made because he says to have one! It was wonderful having them over. I think the thing people perhaps might not know is that in addition to all the mindfulness and knowledge, the monastics are fun! Thay has a great sense of humor and warmth. Once, in making the film on a hot day, the cameras broke. I thought it would be too much for everyone, but Thay said, ‘This is a wonderful moment. Let’s enjoy the peace.” And I thought, wouldn’t it be great if every movie could be made this way! Have Thay, Sister Chan Khong, and Sister Dang Nghiem seen the film? What was their reaction? I think you should ask them! What advice do you have for young people interested in practicing mindfulness in Thay’s tradition? I’m half kidding. I think for anyone already interested in practicing mindfulness, reading Thay’s books are great. I always give out Peace Is Every Breath. It shows how, as Thay says, one more deep breath you take today is better than yesterday. He makes it easy and not overwhelming, and writes in a way that is calming. But I think once someone is already interested, half the battle is won. I think there are a lot of people who need something but don’t know about mindfulness, and who would be interested if they know about it. We hope this film shows them the door and when they walk through, they can then read Thay’s books and go from there. That’s what we wanted to accomplish with the film, and that is what I hope you can help do. For every Plum Village practitioner, there are thousands who need to find what you already have! If we would like to organize a screening of your film with our Sangha, family, and friends, where can we purchase or download them? How else can we support your film? Tell people about the film. Send them the link http://www.mindfulnessbehappynow.com. Post about it. Instagram it. Tweet it. Share it on Facebook. WeChat it. Give the DVD as gifts. Show it in schools. At offices. At your house. The letters and response we get from people who see it is amazing. Remember, this was never for experts like you and probably some of your audience. It is a way to introduce people to mindfulness, to share knowledge. Or as I mentioned earlier about what Sister Dang Nghiem said: to plant seeds. So when you plant seeds, if you want to grow a lot of trees, plant as many seeds as you can everywhere and often. Dear Marieke, thank you for your interest and support! You can download the documentary on https://vimeo.com/ondemand/mindfulnessfilm because it is available in the Netherlands. Let us know if you haven other questions!